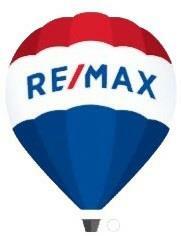 Buying, selling, or leasing, Re/Max Agents do the work so you don't have to. The Philadelphia real estate market may be slowing down across the region, but there are many locations that continue to see growth. The Philadelphia Inquirer reports that the single-housing family market may cool, but it won’t crash. The population continues to grow. Housing will continue to be in demand. Whether you’re in the market for a home or ready to sell your home for the next stage in your life, choose an experienced real estate agent in Philadelphia, PA to make it easier on you. The City of Brotherly Love is renowned for its history and pride. It offers opportunities to explore America’s past and present. From cobblestone streets to places immortalized in film, like the steps of the Philadelphia Museum of Art, there’s no shortage of things to do and see. Single adults, couples with families and retired adults will have a large variety of housing options that will fit into their lifestyle and budget. The median sales price for homes in the Philly area is $187,900. You’re sure to find one that meets your needs. Your real estate agent can help you find the area that fits your family with the amenities you want. Philly is known for cheesesteaks, but the community offers a growing foodie scene, arts and culture and diverse neighborhoods. Fishtown is known for indie rock. West Philly is a more laidback community with cafes and ethnic diners. Rittenhouse is the sophisticated and upscale, with stately homes and manicured streets and parks. Don’t call Philly New York’s sixth borough. Refer to downtown Philly as Center City. Philly offers many sports opportunities for its residents. Football fans cheer the NFL’s Philadelphia 76ers. Hockey fans enjoy Flyers’ games with other NHL teams. Major League Baseball fans can attend the Phillies’ home games. For outdoor enthusiasts, Philly offers many activities within the city limits, from biking and hiking to kayaking and golf. It’s a short drive to the mountains or the ocean. Don’t stress over your real estate needs when you have experienced real estate agent services in Philadelphia, PA to assist you through the process. Contact us to get more information on how we can help you whether you’re selling or buying a home in the area.